What’s it like to sing and listen at Douai Abbey? Having had a week to recover from our recent concert at Douai Abbey, we thought we’d ask a couple of people what it was like, both singing and listening. The concert at Douai Abbey was my first opportunity to perform with Reading Phoenix Choir. I had been to eight weeks of rehearsals and had (just about) learnt six pieces. Because the choir sings most pieces entirely from memory, new members are invited to sing in the parts of the concert where they know the pieces and to listen to the rest. So, this was my first time hearing the choir as well as being part of it. I was nervous and glad to have the support of my very knowledgeable and experienced choir buddy, who knew the choir’s system and the venue very well. After two hours rehearsing, we went for an early dinner at a nearby pub where I had the chance to meet and chat to other members of the choir. They are a friendly, welcoming crowd, all were very keen to encourage me before my first performance. Having changed into my black ‘uniform’, wearing my new patent leather shoes (all part of the Phoenix Choir dress code), I anxiously read and reread the music that I had learnt, trying to convince myself that I knew exactly where all the alto entries were. Douai Abbey has wonderful acoustics, but that does mean that a lone voice in the wrong place would be heard throughout the building. The time came, and we walked to our places while singing Jerusalem. I had learnt earlier in the day that the choir always starts a concert singing while walking into position. I ducked behind a pillar and listened to the choir singing the pieces I haven’t yet learnt, and they sounded wonderful – rich, full and resonant. No pressure! I stepped into position for the last three pieces of the first half and managed to sing most of the right notes in the right order. Phew! After the interval, during which lots of people asked how I was faring (well) and offered advice and support (very much appreciated), we were back on for the second half. Once again, I was grateful to be guided by my buddy who made sure I was in the right place at the right time. After singing another six pieces, with more confidence than in the first half, I moved to sit in the audience to enjoy the rest of the concert. So, I have reached and passed this big milestone – my first concert. It is a long time since I have been part of a choir so this feels like a rite of passage. There is, however, no time for complacency as there is much festive music to learn before the Carol Concert on 16th December! Douai Abbey must be almost the perfect venue for choral singing. It has amazing acoustics but also its shape and size offer wonderful opportunities for dramatic impact. The start of Saturday’s concert at Douai was spine-tingling as we heard the melody of Parry’s Jerusalem hummed softly by the choir from behind us. Then as the choir processed up the side aisles, singing the familiar words, we became surrounded by gorgeous harmonies – a totally involving audience experience. I really enjoyed the concert. I have seen Phoenix many times over the years but this felt different as I Iistened not just as a concert-goer but also as a choir member, mentally following the bass line in the pieces that I am familiar with. There was so much to enjoy at this concert but I particularly liked the two Stephen Paulus pieces, the Victoria and the atmospheric Tebye Poyem at the conclusion of the concert. During the interval (as well as before and after) I was manning the RPC display table. I am pleased to report that I was kept busy with CD sales and that there was a lot of interest generally in the choir. One lady couldn’t make up her mind which CD to buy so purchased all three! I do of course look forward to performing with the choir in due course and I am hopeful of singing at the Carol Concert in Reading Minster. I have to say that I am still a little disbelieving that I am rehearsing with the choir that I have admired so much in the past. Singing choral pieces (as opposed to merely listening to them) is relatively new to me but I am enjoying the experience and loving the music. Did I read somewhere that the choir is bringing back Eric Whitacre’s Lux Aurumque? Wow! Can’t wait!! Joining a new choir can be a daunting experience but I only have praise for the welcome I have received and for the impressive organisation to kit me out with song lists, music, members access and much else. Thank you. Reading Phoenix Choir sings for a ‘Brighter Berkshire’! On Saturday 21st October, Reading Phoenix Choir will join together with local community initiative Brighter Berkshire to raise money to support mental health services in Reading and throughout the country. Following on from World Mental Health Awareness Day on 10th October, this concert supports Brighter Berkshire’s aim to reduce stigma around mental health and is one of Brighter Berkshire’s ‘2017 year of mental health’ events. Reading Phoenix Choir will be hosting this concert in the heart of Reading at St Laurence Church, a beautiful 12th-dentury church on Friar Street. The choir will perform a varied selection of pieces from its extensive repertoire, introducing audience members to its unique choral style. The choir demonstrates its excellence through the performance of songs from ‘madrigals to pop’ from memory and mostly a cappella. From Brahms to Bowie, there really will be something for everyone. In April 2018, Reading Phoenix Choir will travel to northern Spain for the first time in its 49-year history for a spectacular week of music making. Flying into Madrid, and working our way north then west, we currently have plans to sing at the Iglesia de la Asunción de Nuestra Señora in Melgar de Fernamental, Santuario de la Peregrina in Sahagún and Catedral Vieja in Salamanca. This week saw our first meeting with the tour company and we can’t wait to share choir’s extensive repertoire across this region. We are half way through our summer term now and thought you might like to take note of a few dates for your diary, that will complete our wonderful 2016/17 season at Reading Phoenix. Set In the heart of Wokingham, our concert at Wokingham Methodist Church is in aid of the MORS Charity Fund which supports local and national charities. 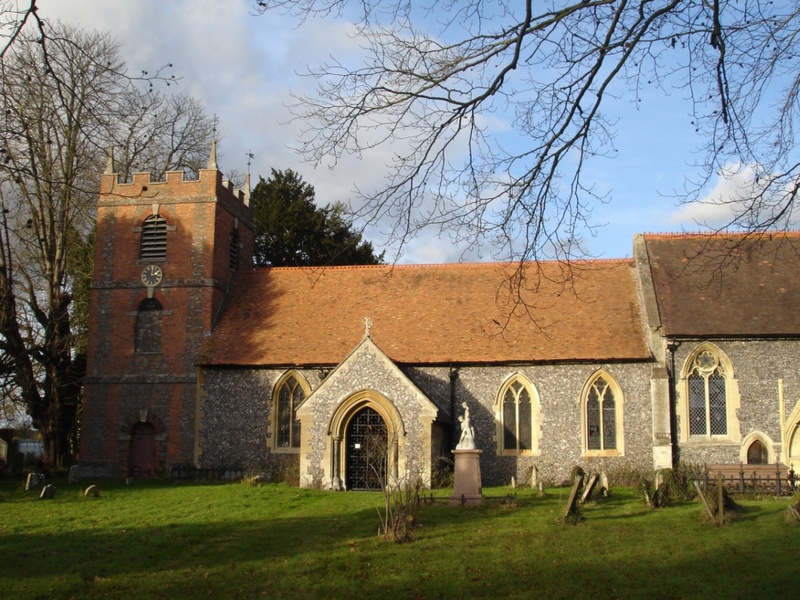 Located in the beautiful village of Hartley Wintney in Hampshire, our midsummer’s concert at St. John’s Church will be held in partnership with the Phyllis Tuckwell Hospice, with whom all proceeds will be shared. At both our June concerts we will be performing a wide range of repertoire with our Musical Director Christopher Hann. Beautiful excerpts of works by Brahms, Rheinberger and Herbert Howells; a 6-part, and an 8-part, Crucifixus by Antonio Lotti; and some magnificent and powerful excerpts from Rachmaninov’s Vespers. On the lighter side, madrigals, the delightful ‘My Spirit Sang all Day’ (Finzi), works by the Kings Singers, ‘Queen’, and David Bowie; even one piece called Chili Con Carne!! At our 2017, annual Come & Sing we are looking forward to learning two settings of Gloria by Vivaldi & Rutter. We will be rehearsing throughout the day at Reading’s historic Reading Minster and invite your family and friends to join us for a performance of both in the evening. The choir are currently enjoying a short break over Half Term but are looking forward to all three of these dates and we do hope you will be able to join us. Over the last weekend of March, we enjoyed a concert at the beautiful St. Bartholomew’s church in Lower Basildon, West Berkshire. The concert was a lovely way to welcome the start of spring and we enjoyed performing to a packed church, by candlelight. If you didn’t manage to join us for this concert but would like to in the future, we have a packed diary for our summer term, with concerts in Worthing, Brighton, Wokingham, Hartley Wintney. Finally, we will be finishing on a high with our Come & Sing at Reading Minster in July. Tour preview: Join us in Sussex, this May! Last year we enjoyed a wonderful mini weekend tour to Kent, performing across The Garden of England. In fact, we had such lovely weekend, singing and socialising with our fellow choir members, we knew it was something we had to do again this year! We are therefore delighted to announce that this May we are making a trip down to the south coast for a mini tour in Sussex. With two concerts booked, preparations are well under way to organise another successful tour. Our first concert on Saturday 6th May will take us to St. George’s Church, Worthing, where we will be singing a rich and varied concert programme in aid of Worthing Churches Homeless Project. This fantastic charity has been working extremely hard over the past 16 years with a vision that “Worthing and surrounding area is a community where no local person needs to sleep out and everyone has the opportunity to fulfil their potential”. “Started in 1991 by four local Christians who took soup, blankets and sleeping bags to the seafront to local homeless people. From this small beginning, Worthing Churches Homeless Projects was born. Today this West Sussex Christian charity has grown to 56 staff members and over 200 volunteers and provides a range of services, which offer opportunities to regain independence. Worthing Churches Homeless Projects believe that everyone has the right to a home, regardless of the difficulties and issues they may face in their lives. We believe in showing those who need our help, that the wider community are there to support them and to offer hope for a better future. On Sunday 7th May, our second will be part of the fabulous Brighton Fringe, England’s largest arts festival. “Brighton Fringe is England’s largest arts festival and one of the largest fringe festivals in the world. We set out to stimulate, educate and entertain a diverse range of people through a diverse range of art forms. And all this in an iconic city with unique cultural heritage. If you are going to be in Sussex, the weekend of the 6th & 7th May we would love it if you would join us for one of our fantastic concerts. We are looking forward to announcing our full concert programme shortly but in the meantime, further information and how to purchase tickets can be found HERE. In February we enjoyed taking part in our Annual Concert at the beautiful Victorian Concert Hall in Reading Town Hall. Alto, Carla Battelli has very kindly shared with us her review of the concert! “My sixth Annual Concert, in the usual stunning Concert Hall, so rich and welcoming, and in a totally new musical formula, as we performed a big piece, Brahms’ Requiem, in the first half, followed by a choice of usual repertoire. But the roof was lifted once again! Our new conductor Chris Hann was precise and professional, as well as relaxed at the same time (!). This Saturday 25th March the choir is looking forward to performing a lovely rural church, tucked away in the heart of West Berkshire. Saint Bartholomew’s Church dates to the 1280s’& is in the English style of flint & stone, local materials, a country church built by its people for its people. A fine brick tower was added in the 1730s’ & during the Victorian period the interior was re-furbished & the north aisle & porch added. It is listed Grade 1 by Historic England. St. Bartholomew’s served its community for over 700 years but as the population moved up the hill to Upper Basildon where a new church was built, the old country church closed for regular worship in 1976; six services a year are now held here. In the 1990s’ the church came into the care of The Churches Conservation Trust. The Trust have repaired & maintained the fabric & graveyard ensuring that St Bartholomew’s continues as a place of worship, an attractive historic church for its many visitors from home & overseas & a place where people can enjoy new experiences. Jethro Tull, agricultural pioneer was baptised & finally buried here in 1741; as are the ‘great & the good’ from nearby Basildon House, the Sykes, Morrison’s & Ferdinando’s. St Bartholomew’s is supported by a small & proactive group of ‘Friends’. Their aim is to organise an active calendar of activities to generate funds that ensure that St. Bartholomew’s is always a welcoming & attractive environment for worship, visitors & events & that it will be here to play a role within its community in future years. The proceeds from this concert will contribute toward enabling the church to have a ‘voice’ again through the refurbishment of our striking clock & for repair to the ancient chancel door. Join us at our Annual Concert for Brahms’ Requiem! Choir member Carla Battelli talks about our upcoming Annual Concert. “Reading Phoenix Choir is thrilled to organise once again its Annual Concert at Reading’s Town Hall, performing Brahms Deutsches Requiem alongside a selection of pieces from our repertoire, sung from memory, as it is in the tradition of our normal concerts. For further details on our Annual Concert at Reading Town Hall, Saturday 25th February and to purchase tickets, please CLICK HERE. We are gearing for our Annual Concert, the highlight of our concert season and thought now would be a great opportunity to introduce you to our concert soloists, who will be performing Brahms’ Ein Deutsches Requiem alongside the choir. For full details on our Annual Concert, this February, Saturday 28th at 7.30pm at Reading’s beautiful Victorian Concert Hall and to purchase tickets, please CLICK HERE. Jessica Broad, soprano, graduated with BMus Hons and a Postgraduate Diploma in Opera Studies from The Royal Conservatoire of Scotland. She now lives in London and continues her studies with Jenny Dakin. Jessica is a regular performer on the opera and oratorio platform. She sings regularly with The Royal Opera House Chorus, English National Opera and Welsh National Opera. She has most recently been performing Oedipe with the Royal Opera House Chorus. Other recent opera chorus work has included: The Force of Destiny and Queen of Spades with English National Opera and Le Nozze di Figaro with The Royal Opera House. Her recent operatic roles have included: Marguerite in Gounod’s Faust; Micaela in Bizet’s Carmen and The Countess in Mozart’s Le Nozze di Figaro. She has sung chorus in Tchaikovsky’s Eugene Onegin, Prokofiev’s The Love for Three Oranges (for which she understudied the role of Nicolette) and Prokofiev’s War and Peace. Baritone Robert Garland is studying on the Opera Course at the Royal Academy of Music with Mark Wildman and Audrey Hyland where he also completed his Master of Arts. He is also a graduate of the Royal Welsh College of Music and Drama where he studied with Janet Price. During his time at the Royal Welsh College of Music and Drama Robert was a Ley Clerk at Llandaff Cathedral and also sang with Classical Brit Award Winning Choir ‘Only Men Aloud!’. Since moving to London Robert’s operatic roles include Bartolo in the Royal Academy of Music’s production of Mozart’s Le Nozze di Figao, Talbot in Donizetti’s Maria Stuarda, Figaro in Rossini’s Il barbiere di Siviglia, Guglielmo in Mozart’s Così fan tutte, Papageno in Mozart’s Die Zauberflöte and Belcore in Donizetti’s L’elisir d’amore. He has also covered the role of Papageno for Nevill Holt’s production of Mozart’s Die Zauberflote. He has performed the roles of Demitrius from Britten’s A Midsummer Nights Dream and Nardo from Mozart’s La Finta Giardiniera for the Royal Academy of Music’s Postgraduate Opera Scenes. Recent professional chorus work has included singing for Opera Holland Park’s Iris (Mascagani) and Grange Park Opera’s Peter Grimes (Britten), Pikovaya dama (Tchaikovsky), La Boheme (Puccini) and Samson et Dalila (Saint-Saens). Robert has also worked with Northern Ireland Opera for Macbeth (Verdi) and Der fliegende Holländer (Wagner). He has sung in numerous oratorio performances most notably including; Brahms’s Requiem, Gounod’s St. Cecilia Mass, Rossini’s Petite Messe Solennelle and Vaughan-Williams’s Five Mystical Songs. He is sponsored by the Josephine Baker Trust and his studies are generously supported by the Winship Foundation, the Split Infinitive Trust and the Mario Lanza Foundation. South Korean born New Zealand pianist, Somi Kim graduated from the Royal Academy of Music last year with an Advanced Diploma in Performance, receiving the HRH Princess Alice the Duchess of Gloucester’s Prize for exemplary studentship. In 2015, Somi gained her Master of Arts with Distinction, receiving a DipRAM and the Christian Carpenter Prize for the Best Recital. Somi is the winner of the Gerald Moore Award for Accompanists, AESS Patricia Routledge National English Song Accompanist Prize, Bromsgrove International Musicians Competition Accompanist Prize, Vivian Langrish Memorial Trust Prize, Thomas Art of Song Accompanist Prize, Major van Someron-Godfery Prize for Accompanists and the Concordia Serena Nevill Prize. Somi received the 6th Pettman/Royal Over-Seas League Arts International Scholarship in 2013 and had her debut with Chamber Music New Zealand last year. Concertgebouw, Slovak Philharmonic, Wigmore Hall, St. John’s Smith Square, Cadogan Hall, Bridgewater Hall and the Edinburgh Fringe, Ryedale, Kings Lynn and Oxford Lieder Festivals. Sicilian pianist Corrado Valvo obtained a Bachelor’s degree in piano at the Musical Institute Vincenzo Bellini in Catania with Maestro Corrado Ratto, and his Masters at the Conservatory Dall’Abaco in Verona under the guidance of Maestro Michela Forgione. Corrado has dedicated his study in orchestral conducting under the guidance of Maestro Marco Boemi. He worked in production of Puccini’s La Boheme with the Theatre of Spoleto and undertook a tour of Japan earlier this year. As a soloist, he is a laureate many piano competitions including the Competition of Barcelona, Vincenzo Bellini of Milo, G. De Vincenzi, Tuttarte of Nicolosi, Benedetto Albanese of Caccamo, Lions City of Viterbo. He received the “Lucio Stefano D’agata” prize of Acireale, and the Nuova Coppa Pianisti of Osimo. He made his debut with the Philharmonic Orchestra of Lugansk in 2012, gaining critical acclaim. Corrado has performed at the Teatro Garibaldi of Enna, Philharmonic Theatre in Lugansk, Castello Ursino in Catania, the Modern Art Park La Verde-La Malfa of Catania, Cultural Centre of EXPO Pedara (CT), Nuovo Teatro Fenice in Osimo (AN), Montanari Hall of the Literary Society and the Camozzini Palace in Verona, Hall of the Ballet of the GAM in Milan, Teatro Nazionale of Opera in Rome, Sala Pegasus of Spoleto (PE) and Teatro Lirico G. Menotti of Spoleto (PE). In April 2016 he was admitted to the George Solti Academy for repetiteurs and conductors. Here he is studying under renowned tutors such as Richard Bonynge, Pamela Bullock, James Vaughan and Jonathan Papp. He is also studying conducting technique at Conservatorio Santa Cecilia in Rome with the M° Maurizio Ciampi. We are delighted to announce the appointment of their new musical director for the start of 2017, Christopher Hann. A highly accomplished choral conductor, Christopher currently works with a variety of Berkshire-based choirs, including Berkshire Youth Choirs. In addition to his conducting, Christopher is in great demand as a professional consort singer. This February, the choir will be performing Brahms Requiem and a selection of exciting, new repertoire at our Annual Concert on Saturday 25th February, 7.30pm at Reading Concert Hall. Tickets at from £6.00 and can be purchased HERE. We look forward to welcoming you to our first concerts of the year and sharing with you, our repertoire we have been working on with Christopher. It was with great pleasure that we welcomed the Male Voice Choir of Voronezh, Russia, last weekend when they joined us in a concert in the Oxfordshire village of Chadlington. Phoenix has had a long association with Vorenzh, first hosting the university choir in 1989. We then made a return visit to Russia in Easter 1990, performing in Moscow, St Petersburg and Voronezh, the most memorable concert being in the latter’s opera house where we had a two thousand strong standing ovation. A number of us had kept in close contact with our Russian friends resulting in the visit of last week. They were here to celebrate the 300th anniversary of the Russian Orthodox Church in the UK and to remember the life of Anthony of Sourozh They started the week in Winchester with performances in Gosport, Portsmouth, Oxford and London. The last three days were spent with us. A joint concert in Chadlington, Oxfordshire, featured both choirs singing Bogoroditze Devo from Rachmaninoff’s Vespers and a John Rutter arrangement of Down By the Riverside. The powerful male voice sound, including a bass Octavist who could sing an octave lower than your traditional bass, felt like a giant wave as we reached the climax of the Bogoroditze. Leslie Townsend -Friend of Phoenix. Members of choir hosted the group and the following day was spent in Windsor followed by a concert shared with Occasion Singers in St Mark’s Church Binfield and finally a lunchtime concert in Reading Minster on Monday featuring their extensive repertoire of sacred, classical, folk and popular music. My favourites were The Wide Russian Steppes, Unsaddle the Horses, Lads and a beautiful arrangement of the Beatle’s Yesterday. They raised £250 for the Minster Organ Fund. Then it was a couple of hours of shopping before attending our weekly rehearsal. Hopefully, we will be making a return visit in Spring 2018 with concerts in Petersburg, Moscow and Voronezh. I can’t wait!